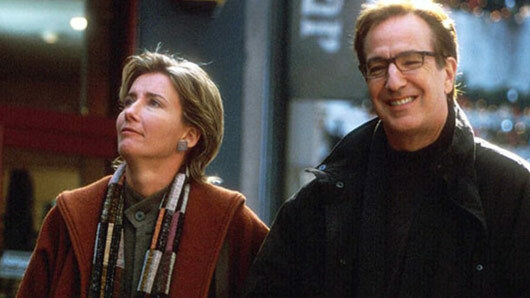 Richard Curtis has confirmed that his Love Actually sequel will not be featuring a tribute to Alan Rickman, who sadly died last year. Last week it was revealed the Love Actually filmmaker would be teaming up with the movie’s leading stars Keira Knightley, Colin Firth, Liam Neeson, Bill Nighy, Thomas Brodie-Sangster, Andrew Lincoln and Rowan Atkinson for an exciting sequel: Comic Relief Actually. However, Curtis has admitted that there isn’t enough time for the 10-minute follow up to honour Rickman’s character Harry adequately. Speaking to PA, the filmmaker explained: “You know, dealing with Alan is very complicated, so not really. Curtis talked previously about how much he enjoyed working on the script. He said: “Over the years I’ve enjoyed doing Red Nose Day specials of TV things I’ve worked on – Blackadder, The Vicar of Dibley and Mr Bean. He also expressed his gratitude to everyone who was willing to get involved with the sequel.